Two sizes in one stitch marker. 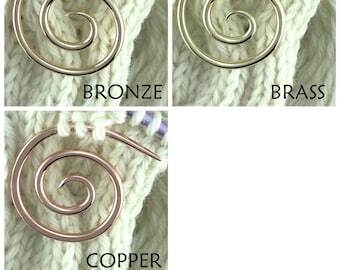 If you had to knit with only one set of stitch markers, this should be the set. You are purchasing (4) four solid copper 18ga. 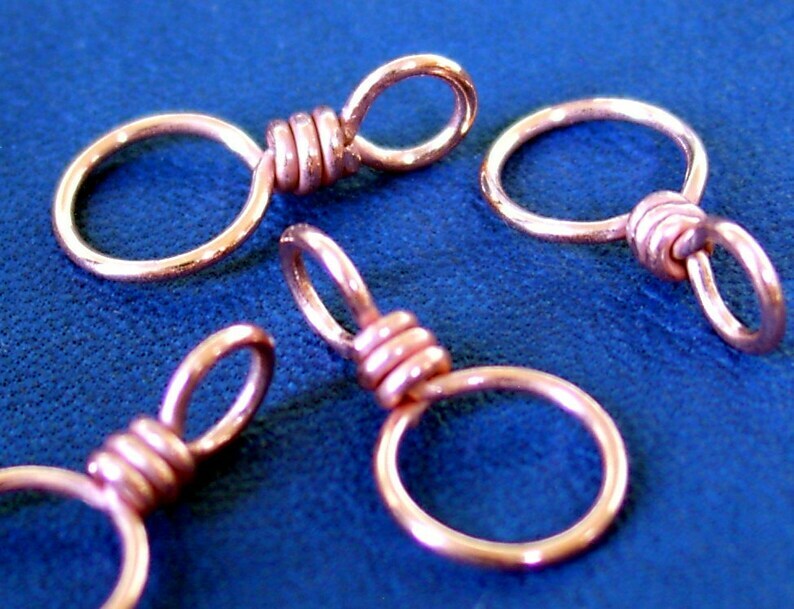 round polished wire wrapped twisted figure eight knitting stitch markers. Small loop accommodates up to US6 [4mm], larger loop US11 [8mm]. 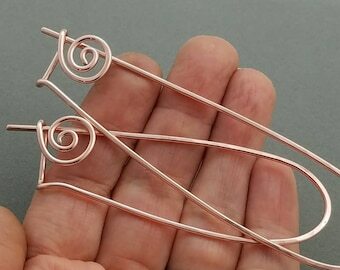 These copper markers are hand wrapped and designed for use on two different sized knitting needles. This design features only one exposed end which is carefully beveled and wrapped tightly to provide a smooth snag-free finish. Would make an ideal gift for yourself, the minimalist knitter, a knitting friend or blog pal. ***I do have special cards to include with your purchase if your gift will be sent to a secret pal. Contact me with any questions prior to purchase. Bright copper finish is untreated and will patinate to a warm penny brown over time. To maintain a bright and shiny appearance using a natural and non-toxic cleaner, periodically polish with a bit of tomato ketchup or lemon juice. Love these markers. Good for beginning rows in circular knitting.